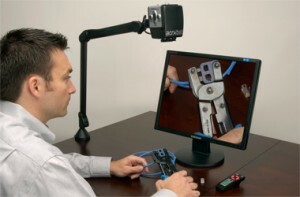 A gentleman recently contacted Enhanced Vision about the wonderful experience he has had with his Acrobat Long Arm. Frank is a dental technician and he constructs false teeth for a living. His work is very detailed and prior to his Acrobat, he was not able to see well enough to work anymore. However, with his Acrobat Long Arm, he is able to work again and he makes impeccable products for his clients. He is independent again and is working just as well as he did before he was diagnosed with low vision. 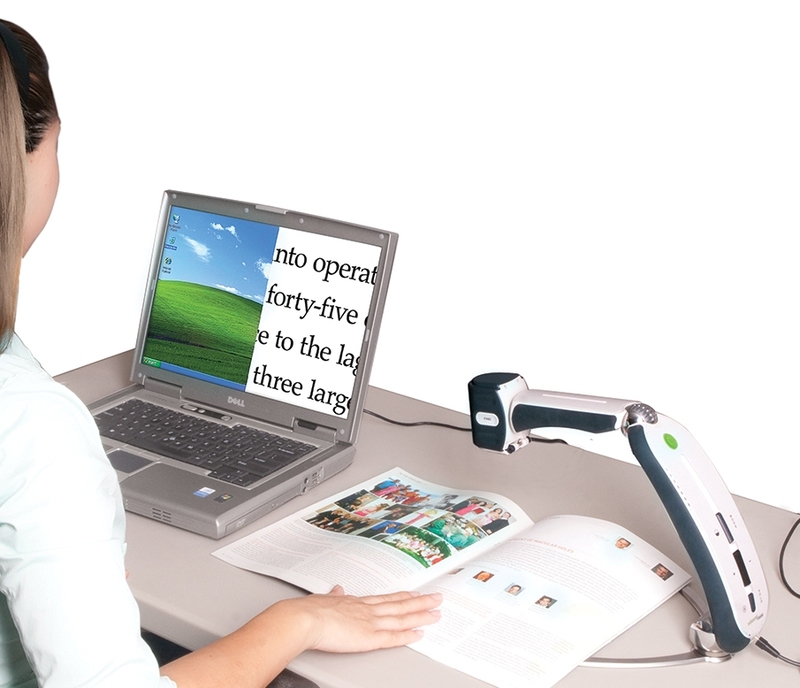 Longer arm provides flexibility to work on larger projects. You can configure the Acrobat in a variety of ways to meet your specific needs. Connect the unit to a computer monitor or TV or portable viewing panel.